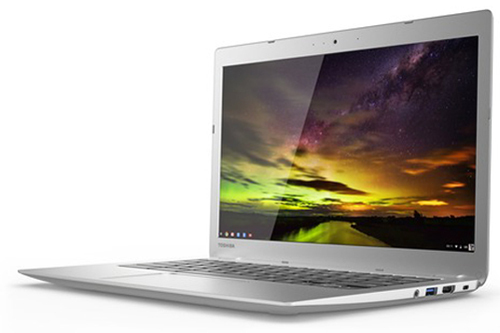 Toshiba’s continuing on with their Chromebook by unveiling an updated model, simply dubbed the Chromebook 2. It has the same 13-inch display and similar overall design as the first model, but is thinner and offers 802.11ac Wi-Fi for faster connectivity. Its price is still attractive, starting at $250 on October 5th in the US. A full-HD version will be available for $80 more at $330, though its battery life won’t be quite as good as the 1366×768 model.